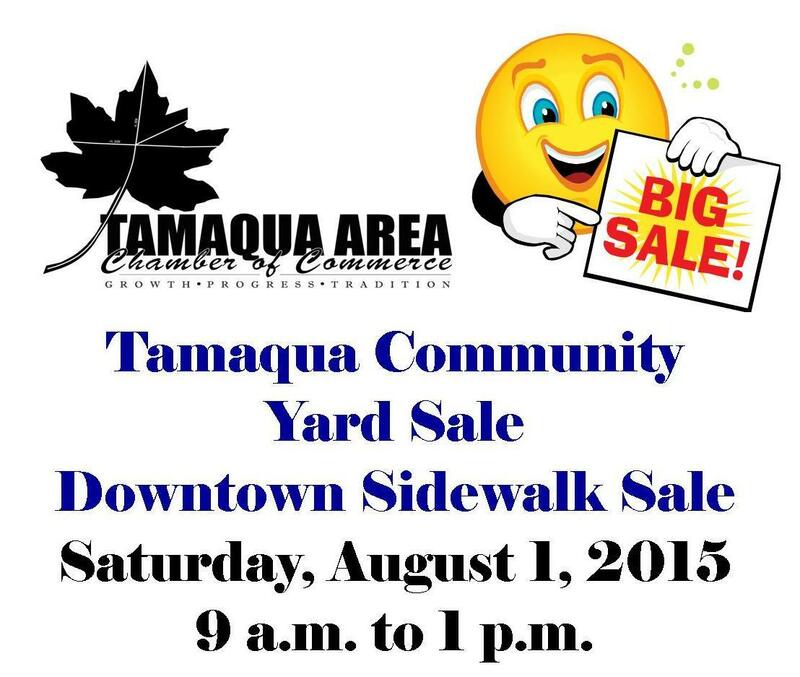 Tomorrow (Saturday, August 1, 2015) marks the Tamaqua Area Chamber of Commerce’s Annual Yard Sale and Downtown Sidewalk Sale. The event goes from 8 AM to 1 PM or later. 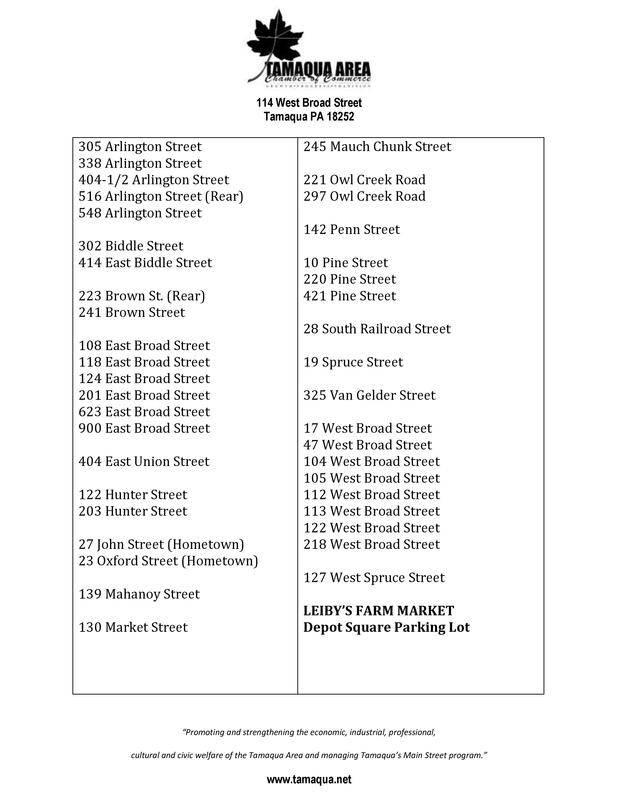 In addition to the sidewalk sale downtown, anyone can pickup a list of yard sale addresses from the Chamber office (114 West Broad Street) Saturday morning or print the list below. Some listed yard sale addresses will have the sale on Sunday as well. The event is held rain or shine. Click HERE to view the prior TamaquaArea.com story about the event. Below is a list of yard sale addresses. Click on it to view or print a PDF of the addresses.